We are an appointed manufacturer of the Mitre Master range of high performance windows and doors which can be made in Protim Pressure treated laminated softwood or Sapele Hardwood. This system uses patented mitred corner joints which eliminate end grain exposure and is less expensive than Traditional Joinery. The windows and doors are fitted with espagnolette security locking systems with quality key locking handles and are glazed in 24mm low e soft coat argon filled warm edge double glazed units. These windows and doors can be fully finished using Teknos waterbased Spray Paint system in selected stains or matching any BS or RAL colour. 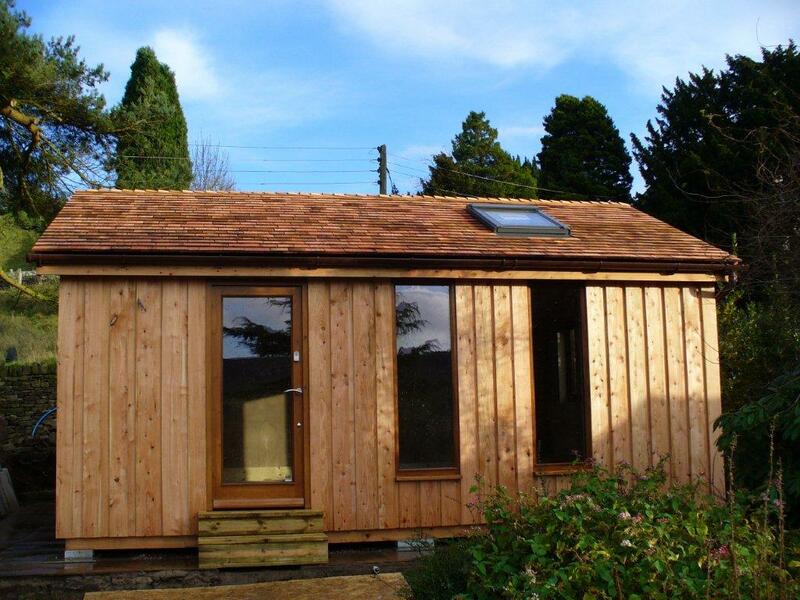 The timber used for these products is supplied by Timbmet who take their Environmental Policy very seriously. NOTE: All BS testing figures below provided by Timbmet. This window can be manufactured using an ovollo mould or a more contemporary square edged design and has been tested to BS5368 Parts 1, 2 & 3 and meets the requirements of the Classification for Severe Weathertightness BS 6375 Part 1: 1989. > Glazed in 24mm clear low e soft coat argon filled warm edge double glazed units as standard. >Fully Spray paint or stained finished to any RAL or BS colour. Here at AA Taylor we can also manufacture a high performance Double Hung Vertical Sliding Sash box frame with spiral balances (instead of weights and cords). This window has been tested to BS 5368 Parts 1, 2 & 3 and meets the requirements of the Classification for Severe Weathertightness BS 6375 Part 1: 1989. > Locking sash locks with night ventilation facility and optional opening restrictor> Glazed in 24mm clear low e soft coat argon filled warm edge double glazed units as standard. 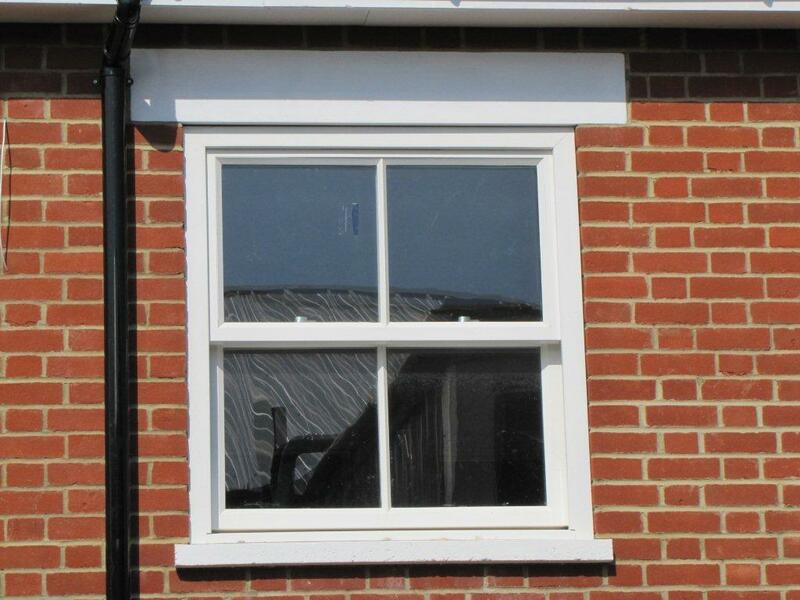 This versatile window is fully compliant and when correctly assembled and installed has been tested by BSI Testing Ltd. To BS5368, Parts 1, 2 & 3 and meets the requirements of the Classification for Severe Weathertightness BS 6375, Part 1: 1989. This window features a sophisticated dual action hinge mechanism and from its bottom-hung position, the sash ’tilts’ inwards, to provide fresh air without draught. From its side-hung position it ‘turns’ into the room to make cleaning the outsdie glass and maintenance easy and escape in an emergency possible. 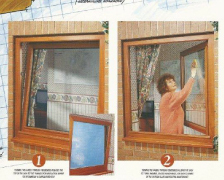 This window has been designed and tested to form, when correctly assembled and installed to the requirements of BS 6375 Part 1: 1989 (for air permeability, watertightness and wind resistance). 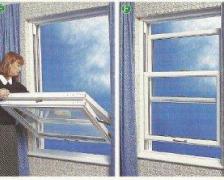 The Tilt-back facility allows easy internl cleaning of outside panes. > Security espgnolette locking system. High performance ‘Stormproof’ Double rebated Timber doors can be made for inward or outward opening options in Protim Treated Laminated Softwood or Sapele Hardwood. These doors can be manufactured in a variety of styles – either fully glazed, with a solid lower panel or Georgian bars. Security is built-in at manufacture with simple to operate multi-point locking espagnolette bolts. These doors have been designed and tested to perform to the requirements of BS6375 Part1: 1989(for air permeability, watertightness and wind resistance). > Glazed in 24mm clear low e soft coat argon filled warm edge toughened double glazed units as standard. 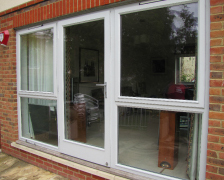 Using the same High Performance system as the French doors we can manufacture single High Performance Doors. These doors have the same specification as the French Doors and this photo shows our windows and door fitted into a Garden Office (built by others). > Security espagnolette locking systems. 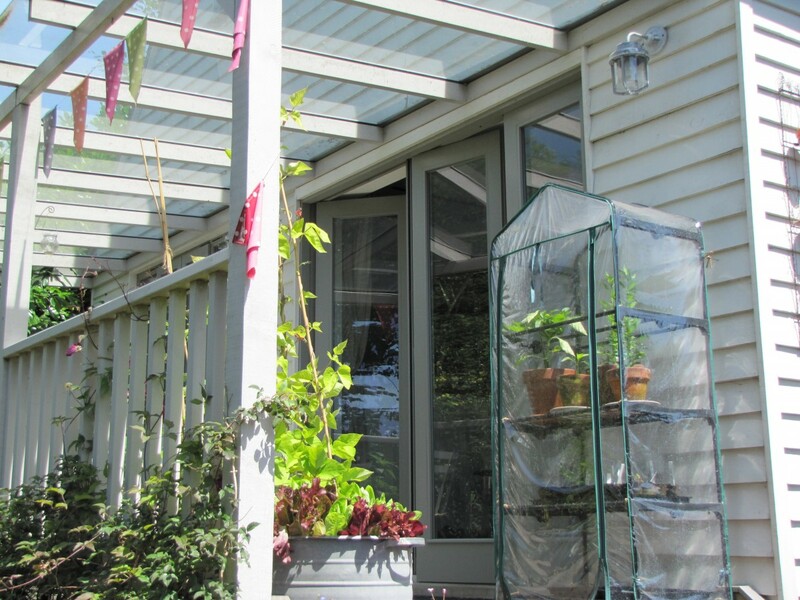 Manufactured using the latest construction techniques and security features these doors will make a stunning addition to bring the garden into your room!